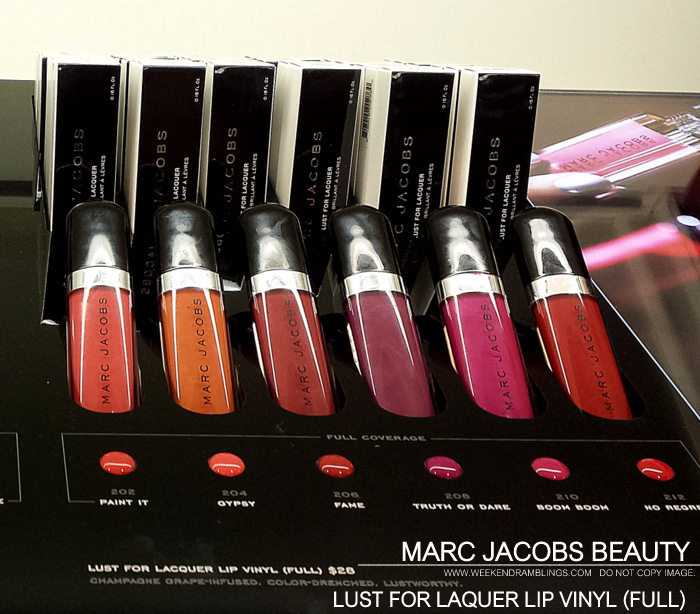 Lust for Laquer Lip Vinyls are lipglosses from the newly launched Marc Jacobs Beauty range. Available in two finishes - Sheer and Full (more pigmented) - the Lip Vinyls claim to be infused with champagne grape extracts, antioxidants, and essential oils. The patented pillowed applicator helps with precise application and the gloss gives a high shine finish. 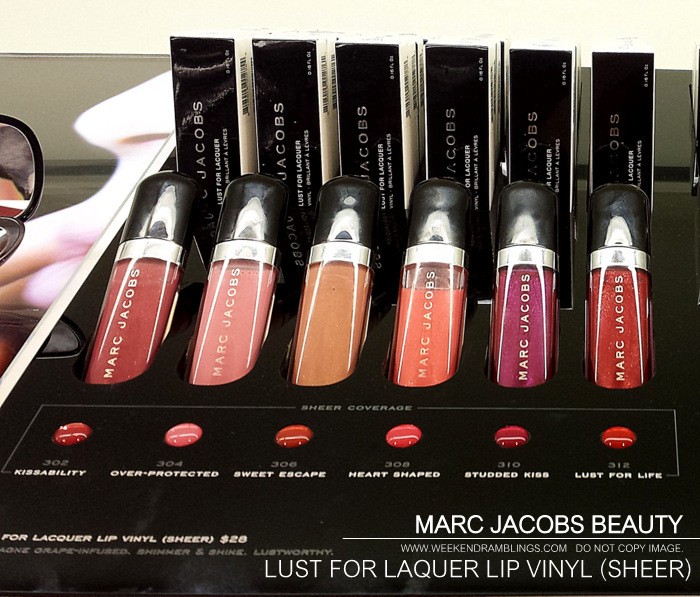 Scroll on for photos and swatches. Product details and shade information from the Sephora website. Link provided for information only and is NOT an affiliate link.